Sometimes style is defined by understatement. With sleek profiles and the option to use in a wetroom or combine with a tray, the Nice shower screen is both discreet and practical. For a shower enclosure with no frills, choose the Nice shower screen. 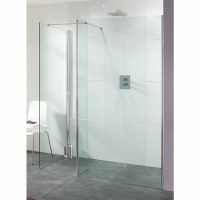 This shower screen is available in both frameless and semi-frameless variants and features a sleek and simple profile. It is versatile and can be used for different types of shower enclosures, including alcove, corner, recess or walk-in. 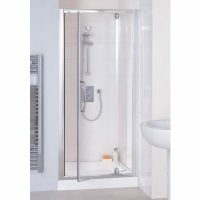 Available in a classy silver finish, the Nice shower screen includes a main shower panel and a bypass panel. 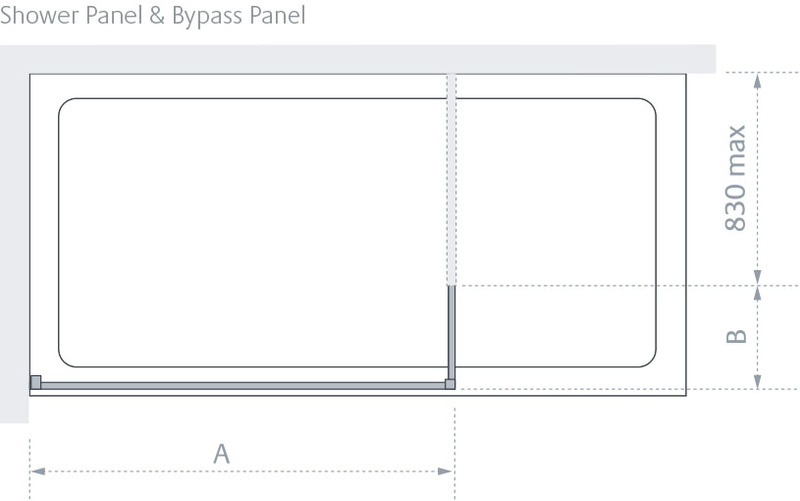 These panels are fully reversible and stand 2m tall. Extension profiles can also be purchased for the shower panels. 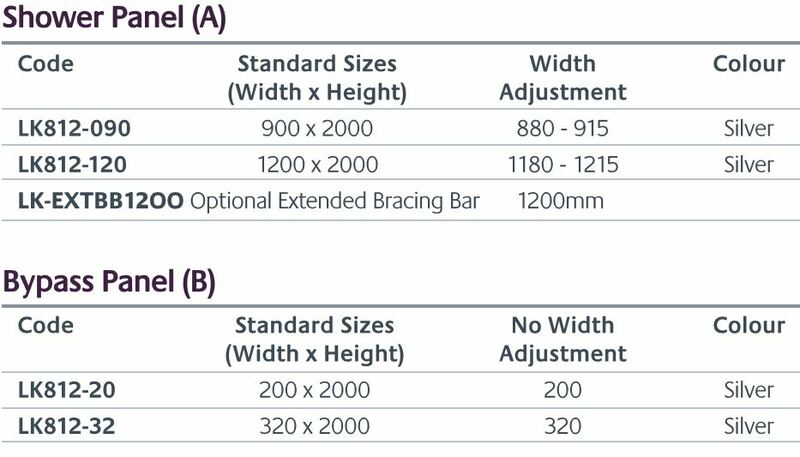 A standard bracing arm is supplied with this product. The Nice shower screen makes use of toughened 8mm safety glass with an AllClear coating. As such, cleaning the glass panels is incredibly easy. Whether used with a wet room or combined with a tray, the Nice makes for a practical enclosure. As a top quality product manufactured by Lakes Bathrooms, the Nice shower screen features a lifetime guarantee. 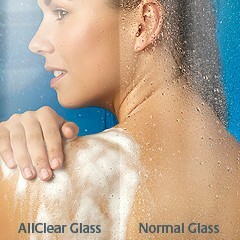 This makes it one of best shower screen solutions available at Ross’s Discount Home Centre. 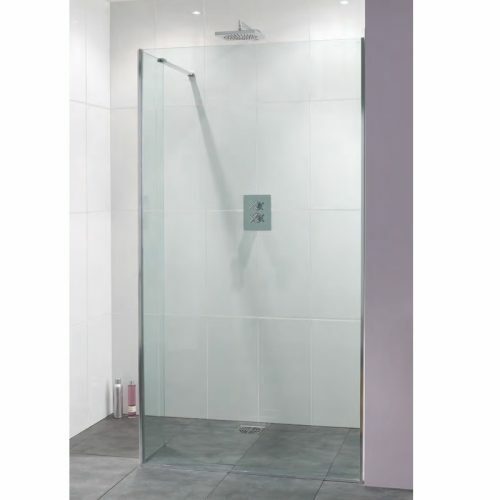 So go ahead and buy this elegant shower screen online and take advantage of our free shipping to Perth Metro areas. Please Note: To create your Nice shower enclosure you will need to select one product from each table. Standard bracing arm supplied with product. We believe your shower time should be lavished on you, not be spent cleaning and scrubbing the enclosure. It’s why our AllClear stay-clean coating is standard on both sides of the glass on every product in our Classic and Coastline Collections. AllClear’s advanced technology effectively cleans your shower for you, repelling water, lime scale and soap scum so a quick wipe is all that’s needed to keep that ’as new’ sparkle, and it’s kinder to the environment too. 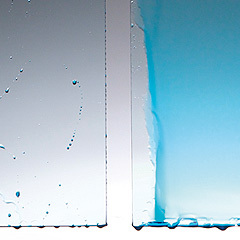 In a side-by-side test you can clearly see the difference between normal glass (right) and glass with our AllClear coating. Some manufacturers charge in excess of £100 to apply similar coatings as an optional extra. Our Classic and Coastline Collections give you the extra benefits of AllClear protection on both sides of the glass at no extra cost. AllClear is guaranteed to outperform untreated glass for 3 years so you’re free to enjoy every refreshing minute of showering. Look into a microscope and you would see that standard glass actually has a pitted surface to which water, lime scale and soap scum can cling, building up with every shower and requiring regular scrubbing to keep your enclosure clean and hygienic. Inspired by nature, the AllClear coating forms an invisible, microscopically smooth shield to prevent this build up of grime. AllClear’s hydrophobic properties cause water to run off freely, washing away residue and dirt as it goes. It’s an amazing effect which has to be seen to be believed – one reason why we’ve produced a video demonstration so you can see the AllClear magic for yourself. AllClear is truly eco–friendly. Water sheets off the coated glass, washing away soap scum and grime as it goes, so it’s more hygienic and with less bacteria, there’s less need for harsh chemical cleaners – which is kind to the environment and to your pocket. AllClear not only means superior performance, it’s a superior product in its own right, proven to outperform other coatings on the market. Glass coated with AllClear also has greatly enhanced the impact and abrasion resistance and 20% more brilliance.